The International Cricket Council’s World Cup Trophy has arrived in Kigali for a three-day stay in Rwanda as part of its journey around the globe. 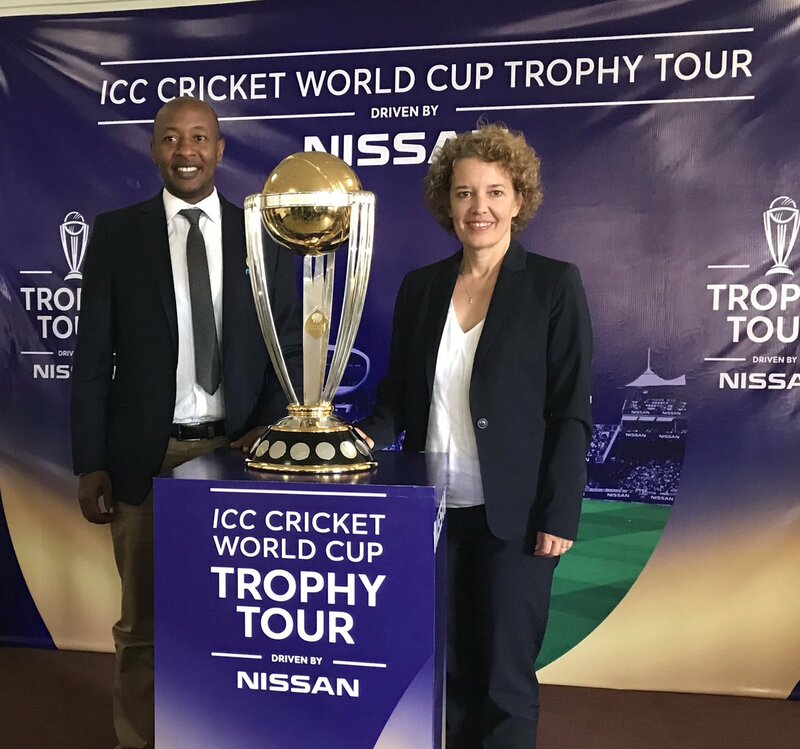 Rwanda last December won the bid to be among the 21 countries whose cricket fans will get up close to the highly coveted trophy during its nine-month journey across the globe. It will travel across five continents, 21 countries and over 60 cities to mark the “most connected Trophy Tour ever” leading up to the 2019 ICC World Cup finals tournament from May 30 to July 14 in Wales and England, the United Kingdom. The ICC Cricket World Cup 2019, ICC’s flagship 50-over event, will be held in England and Wales from May 30 to July 14 next year. Cricket fans in Rwanda will get the opportunity to see the trophy – which is 64cm tall and weighs 10.8kg – which is on display at Gahanga Cricket Stadium before it leaves the country on February 10, 2019 with some cricket games and celebrations taking place over the weekend according to Rwanda Cricket Association (RCA). The British High Commissioner to Rwanda Her Excellency Jo Lomas is also among high-profile officials who received the trophy. The trophy began its journey from the ICC headquarters in Dubai on August 27, 2018. It is travelling across five continents, 21 countries and over 60 cities. It is the most extensive Trophy Tour ever, and will allow cricket fans around the world to catch a glimpse of the coveted prize. For the first time, the trophy will go beyond traditional cricketing nations and connect with fans in 11 other countries where cricket is gaining popularity. Rwanda is one of the only four African countries to host the trophy, along with Nigeria, Kenya and South Africa. With more stops than ever before, the trophy started its journey from the ICC headquarters in Dubai on August 27, 2018. From Rwanda, the trophy will head to Nigeria, France, Belgium, the Netherlands and Germany – in that order – before arriving in England and Wales on February 19 for a 100-day domestic Trophy Tour.